What a pair! Natural Tiffany meets the tastes of all thanks to the wide range of tops offered by the Scab Design Style Centre. 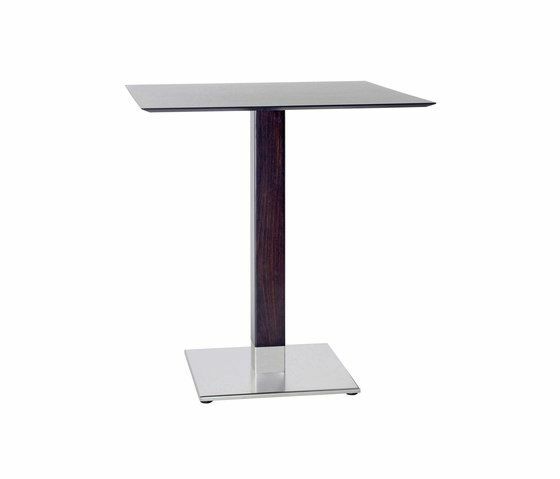 Natural Tiffany base: 400x400 mm glossy or satin finish stainless steel base, complete with under base ballast. 80x80 mm square column in natural or wenge stained massive beech wood. Cast iron table top mounting brackets. Equipped with adjustable feet. Dimensions: square top max 90x90 cm or round top max Ø 90 cm.